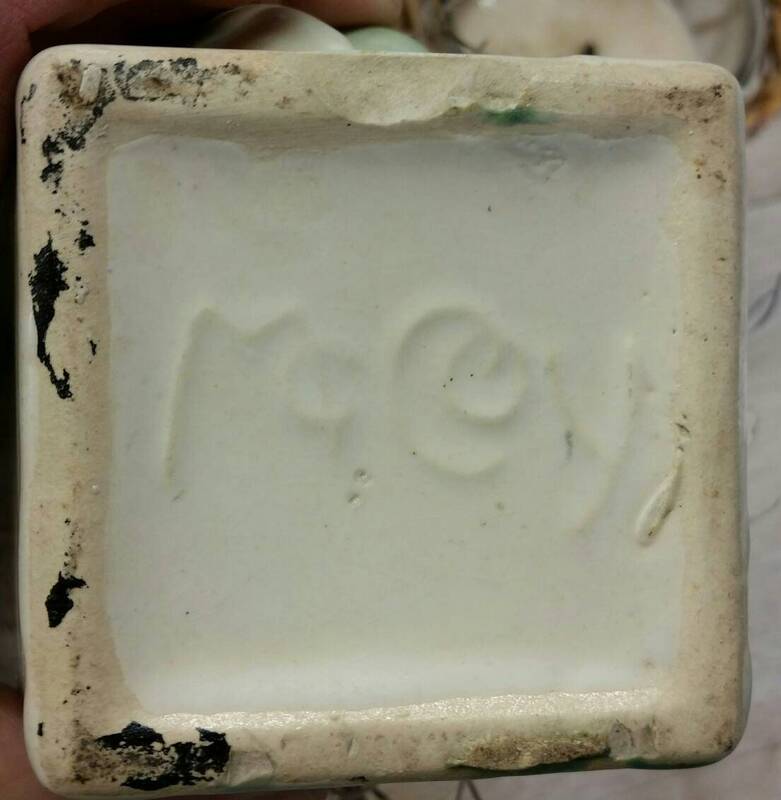 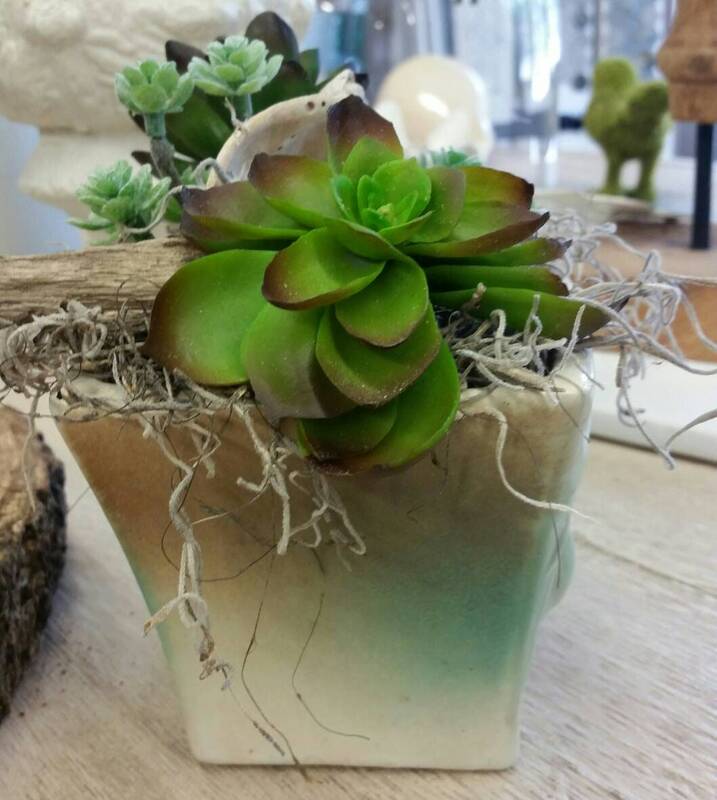 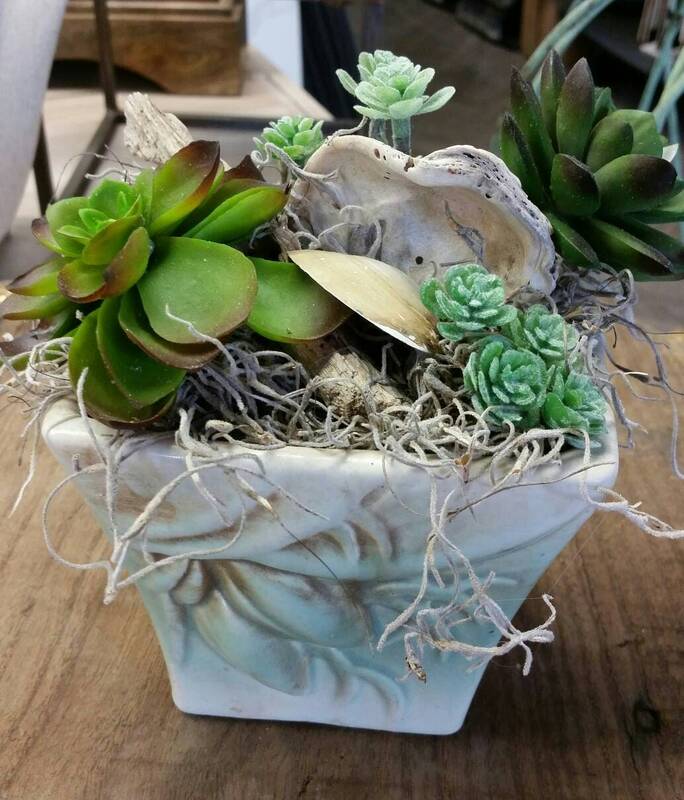 McCoy Pottery -Lilybud Planter - 1940s - Vintage - With Faux Succulents, Seashells, Driftwood and Spanish Moss - Arrangement. 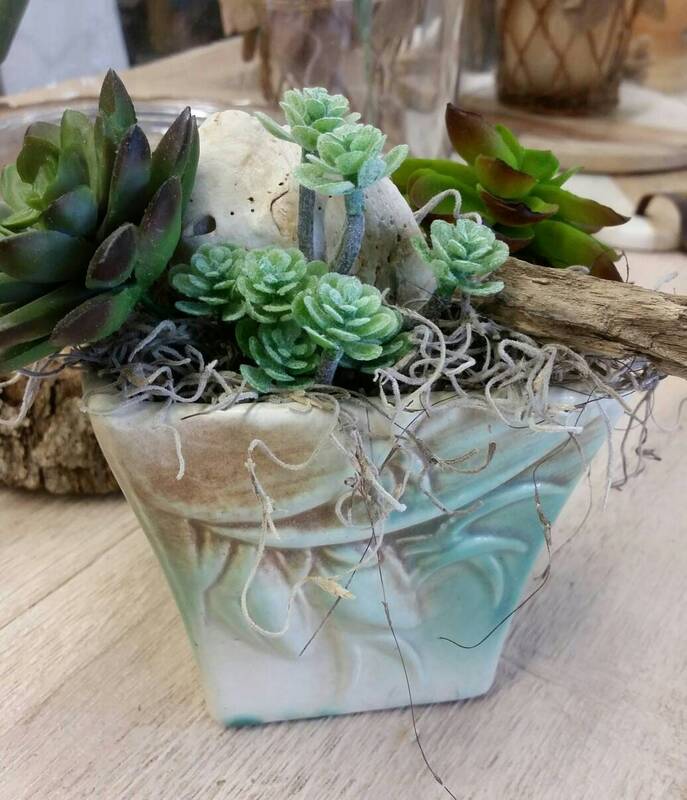 Measures overall 7"ht x 7"w x 6"deep. 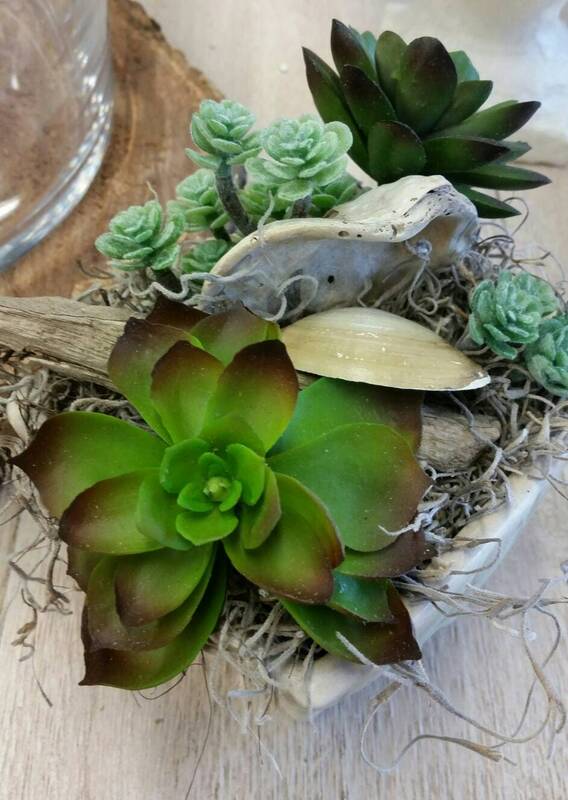 Realistic Arrangement includes faux succulents real seashells driftwood and Spanish moss. 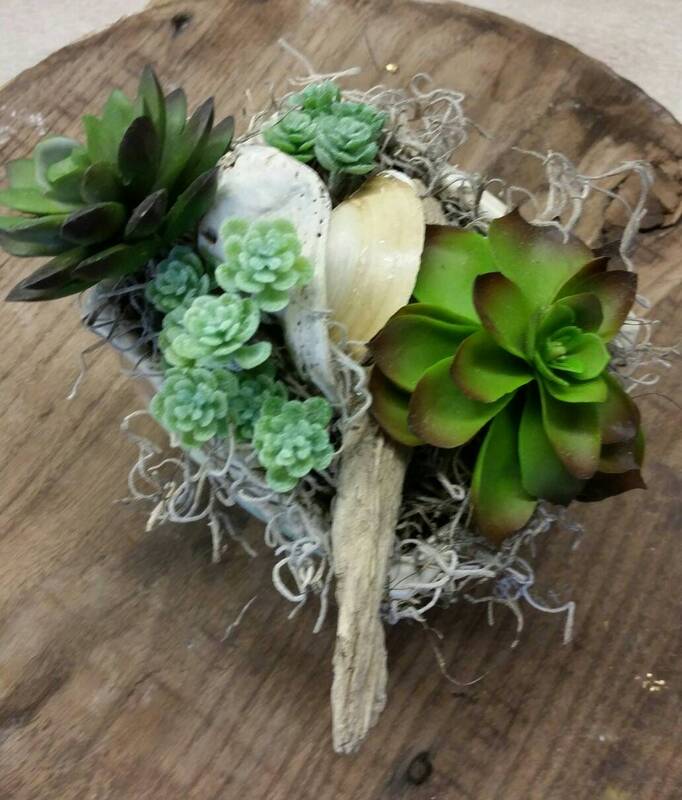 Would look so sweet on a end table or bookshelf - the best thing you don't have to water it!